“Buon Viaggio!” Now THAT is what we should have heard as we boarded for an Alaskan cruise in Seattle last month. 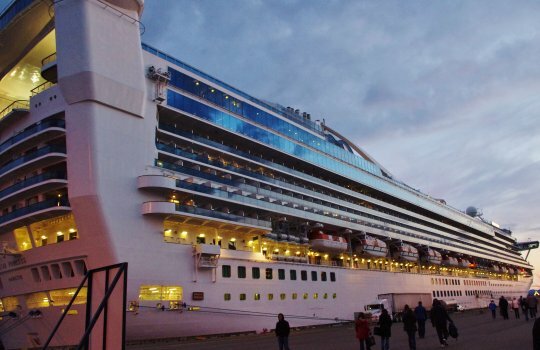 First of all, we came to find out that our beautiful, 930’ long ship, The Star Princess had been built in Italy! 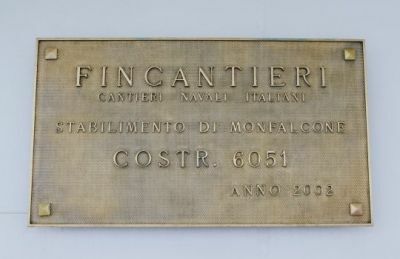 She was built in Monfalcone in 2002 by Fincantieri Cantieri Navali Italiani. Yes there would be views to enjoy from the deck, but the views inside weren’t too bad either! Furthermore there were several Italian named restaurants: The Portofino and The Amalfi dining rooms, Prego Pizzeria (poolside) and the upscale Sabatini’s. All of our food was so good - and no wonder! 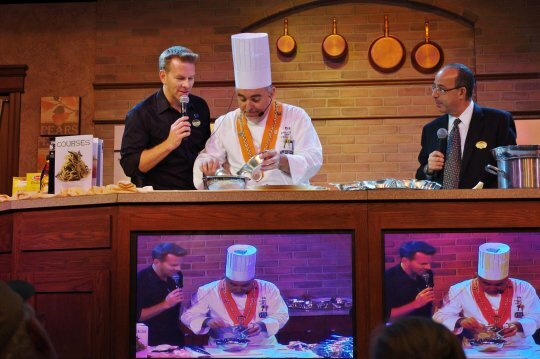 The Executive Chef, Paolo Merio, hails from Lake Como, Italy. His family owned a deli and by 14 he was studying for the hospitality industry. 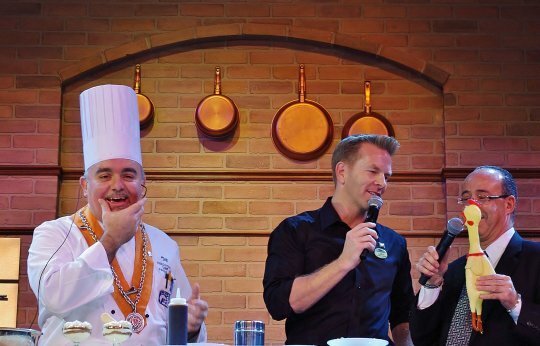 At 17 he had earned a culinary degree and became the youngest crew member with Princess Cruises in 1986. In fourteen years he was promoted to Executive Chef. So this man can cook. AND this man can manage. 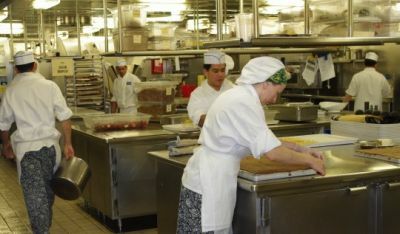 His food staff of 154 includes 10 butchers, 15 pastry cooks, 10 bakers and most importantly – his 5 sous chefs. 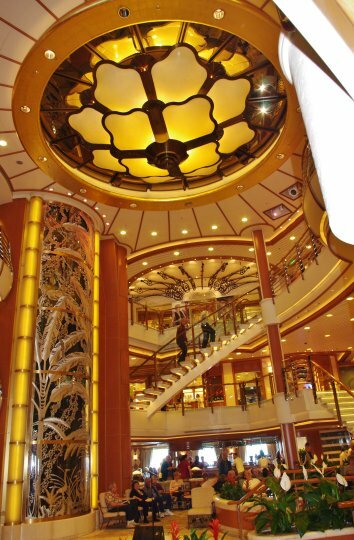 The Star Princess serves 2800 guests and 1200 crew members daily. Yes, that is 4000 people a day. 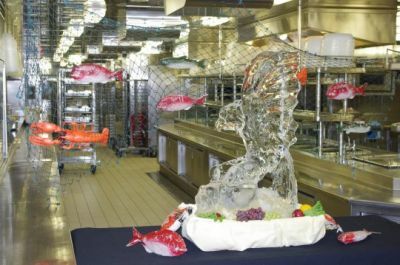 The ship handles 12-14 tons of food PER DAY. (I took 10 of those pounds home with me). 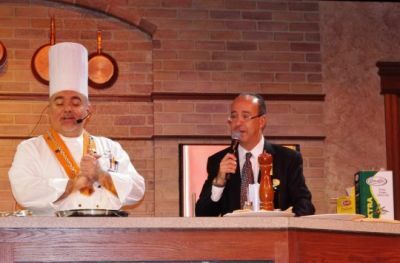 My mom and I were thrilled when we saw that a culinary show was scheduled and that Chef Paolo would be preparing a course of mostly Italian favorites. The show was hosted by the cruise director and the Maitre d’. What a fun hour! The Chef has a sense of humor and praised the ship’s chicken for providing so many eggs! Chef Paolo allows for 3 eggs per person per day. So for seven days do the math – I come up with 84,000 eggs. That is one busy chicken! 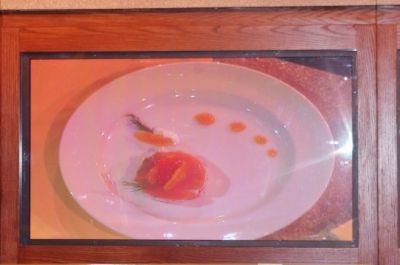 This appetizer was the first item that he prepared. A smoked salmon “sandwich”. What I appreciated was that he was presenting concepts more than specific recipes. A true cook, he was full of suggestions for substitutions and acknowledged that people prefer varying seasonings. The idea here is to cut two rounds of smoked salmon with a pastry cutter and create a filling to form a little “sandwich”. He whipped together a filling with lemon juice, mustard, dill, capers and sour cream. Next up was a cream sauce and pasta. Throughout the demo were tips and suggestions. For cost efficiency the trimmed off salmon from the first dish was used in the pasta dish. Chef Paolo also encouraged the use of fresh pasta and suggested cooking times for various types. As I’m sure we all know, fresh pasta cooks quicker. He also said not to add oil to the pot unless there is little room, to not rinse your pasta but add a little oil if it needs to sit and wait on being served. One new tip to me but one that makes good sense is that after you drain your pasta add it to your sauce on the stove and let it cook a little longer. The pasta will absorb more of the flavor this way. For presentation he swirled the pasta by fork on a spoon and placed it in a “nest” on the plate. Shrimp Diavolo was the next item prepared. 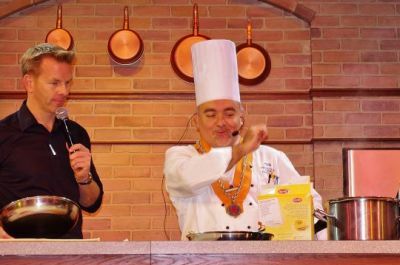 Chef Paolo used plenty of garlic, chili and brandy. He started with cooking the garlic for a short time in extra virgin olive oil. He warned not to overcook the garlic because it can become bitter. (Yes – I’ve done that!). After the brandy was added it was ignited. He reminded us to reduce wine but burn alcohol or brandy. Other tips that were made were to add butter (if for flavoring) after you have removed the item from the heat and to not salt some dishes if the ingredients have a high salt content (for example capers). Last but not least – Tiramisu! 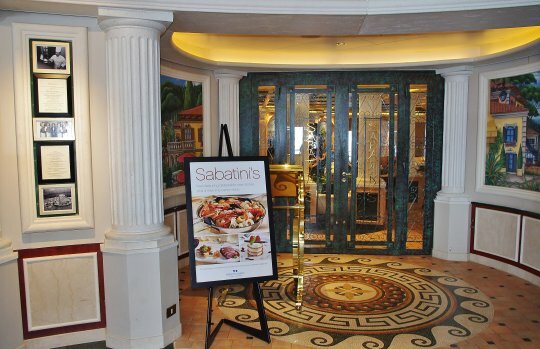 It is the most popular Italian desert in American per the Chef. He used champagne glasses to create individual servings and a round pastry cutter to cut prepared cake into just the right size circles. Again, the emphasis here was on content and presentation. 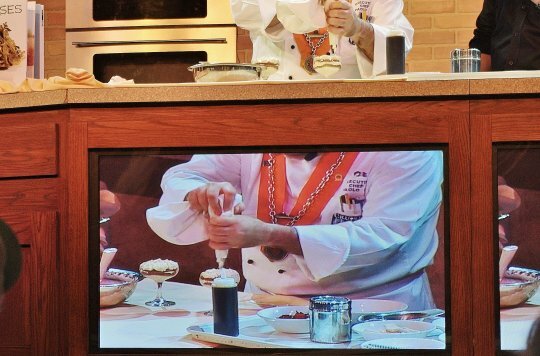 A sprinkling of cocoa on top finished off the dish and then we watched the presenters finish off the dessert! Afterwards we were treated to a walk through one of the kitchen galleys. It was fascinating to see how expansive the kitchens are and all of the work being done. Various displays had been set up and everything was spotless. So how much did the Italian influences on this ship mean? Well, I enjoy my Italian heritage and food without question, but my mother? It moved her to tears. 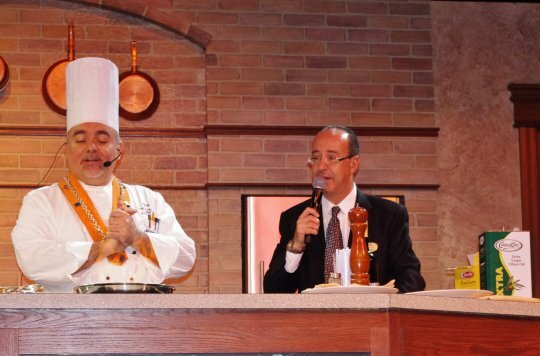 Leaving the culinary demo to the sound of Italian music being played she honestly wept missing my Italian father and remembering their trips to Italy. 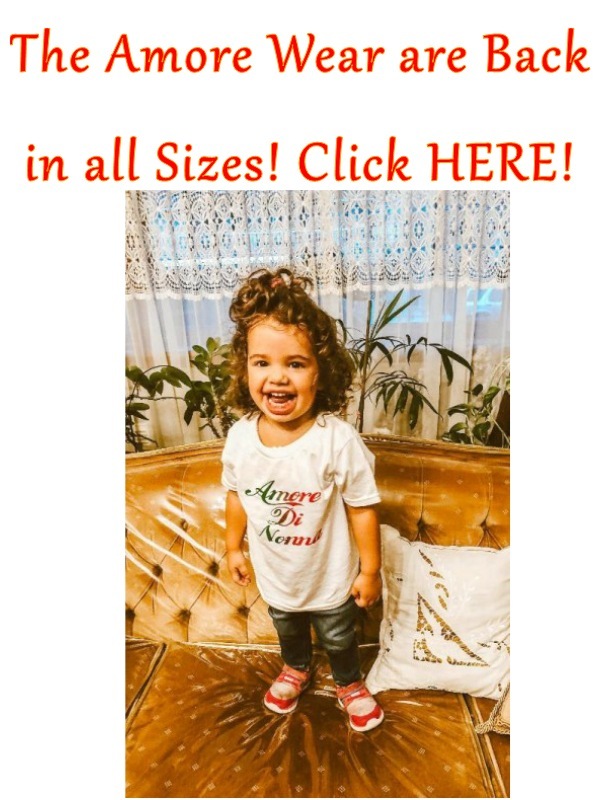 She doesn’t have an ounce of Italian blood in her, but she will tell people all the time “I’m Italian… well I married one and that is enough”. A special thanks to my mom, who treated my children to their cabin, airfare and excursions. Love you mom and miss you dad! 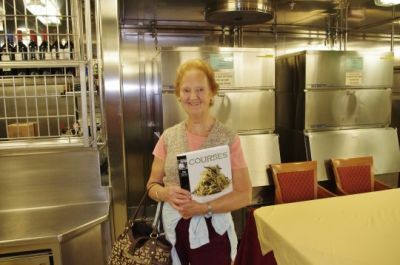 If you’d like to see the sites that we saw please see my post later this week “North to Alaska… and Seattle… and Victoria” at www.CarolinaHeartStrings.com.